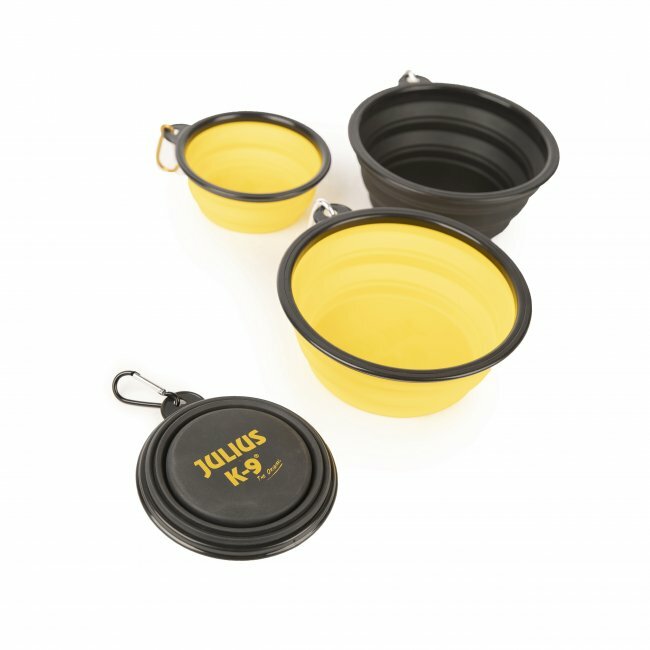 The JULIUS-K9® water bowl is a practical accessory coming in handy when you go out with your dog. The silicone bowl is easy to open in a single move, and is just as simple to collapse after use. The collapsible water bowl can be stored in a space-saving way, and with the carabiner on it, it can be easily attached to your belt or bag. The quality of the water bowl is guaranteed by the JULIUS-K9® logo on it. The water bowl is manufactured in black and yellow.